From the moment you walk in, you'll feel right at home! Minutes to historic & charming Downtown Castle Rock, I-25 and the NEW Riverwalk development, where you can enjoy exciting new restaurants, shopping & entertainment. This maintenance free & immaculate end unit townhouse is located in the Plum Creek Golf Course community that's just steps away from the beautiful golf course & just a short walk to the beautiful community pool. 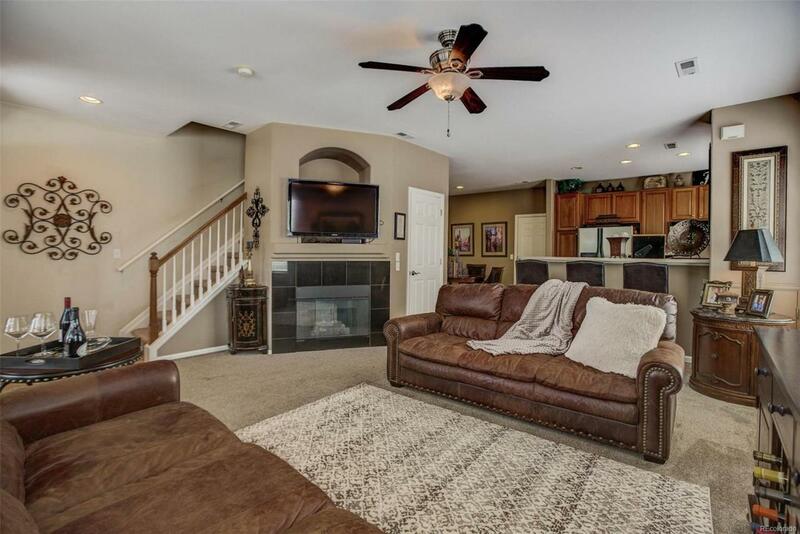 Open family room & kitchen..perfect for entertaining! Nicely appointed kitchen boasts 42" cherry cabinets, stainless steel appliances, eat at bar & kitchen nook/dining area. Updated main level powder room & newer carpet in the family room. Upstairs boasts an enormous master suite & large guest suite, both with vaulted ceilings, walk-in closets, private bathrooms and the convenient laundry area (Washer & Dryer Included). Newer roof, exterior paint, garage door & siding. The two car garage is on the main level & guest parking spaces are located next to this home.